This is a bluetooth speaker, but the cool thing about it is that it is also an LED lightbulb. How cool would it be to have sound emitting from your lightbulb? 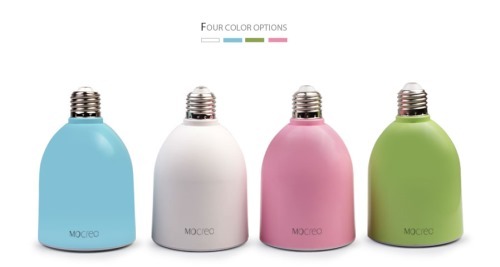 The Mocreo light bulb speaker synchronizes with your music player to play songs from your smartphone or computer and also comes with a remote control to change music volume, skip to next or previous song e.t.c.